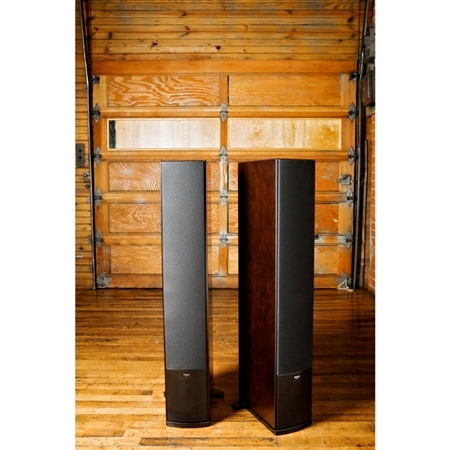 The WF-35 is for those who want home theater or stereo speakers that look as good as they sound. 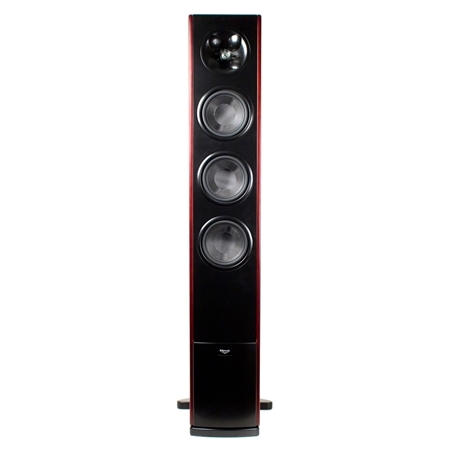 When compared to traditional floorstanders the WF-35 is more refined taking up less space while still delivering our dynamic and detailed sound. Dramatically reducing a speaker’s width and depth, as seen in the WF-35, poses some engineering challenges. 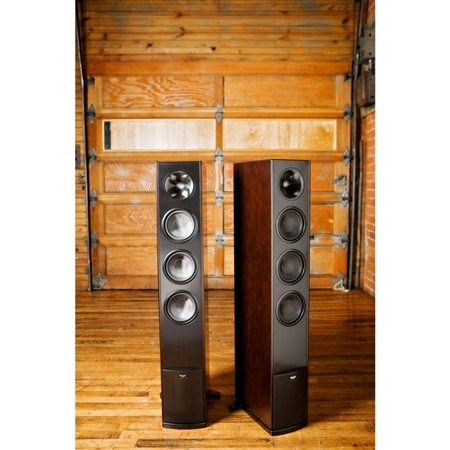 The larger the speaker, the more output and dynamics you get. Our engineers, however, found a way to generate excellent output and dispersion from this slim speaker by employing an all-new proprietary technology called the XT Tractrix® Horn. 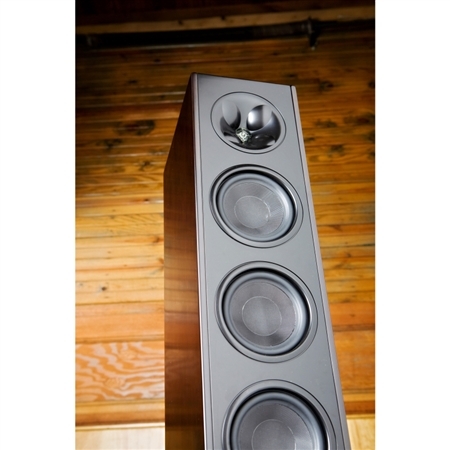 For over 60 years, horns have been the driving force behind Klipsch speakers. The XT engineering takes our time-proven philosophy to new heights by altering the surface geometry of the horn with four “bumps” that are shaped like flower petals. It’s a technology that creates a wider dispersion pattern and provides more latitude in placement. While the WF-35 employs modern advancements on the inside, it reflects a classic approach on the outside, featuring a timeless wood veneer cabinet finished in espresso or cabernet. Unlike most speaker manufacturers who opt for domestic veneers (cherry, oak or maple), we selected an exotic, non-endangered Berlinia veneer from West Africa. Berlinia is a sister veneer to Zebrawood, which is often featured on luxury goods. The WF-35 cabinet is carefully sanded, sealed and stained. Much like in high-end furniture manufacturing, the stain is then top coated with a polyurethane finish. This spray application involves 10 coats, with sanding in-between each coat to achieve the proper thickness. The cabinet is also inspected at every sanding level to ensure clarity over the stained veneer.